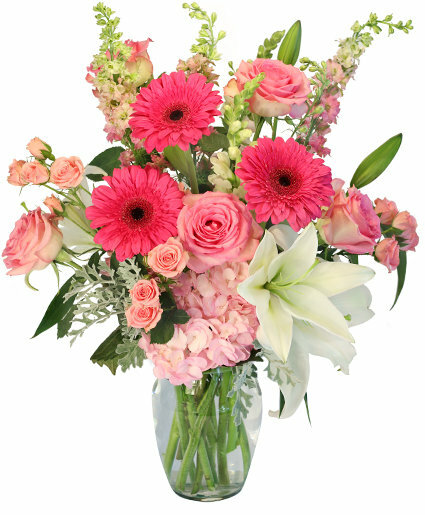 A classic all around low style arrangement that puts the emphasis on the flowers. Perfect in soft tones or bright. Let us know what type of colours are here favorites and we can customize for you.